Why I love Live Looping, How I get into the Flow and more questions? I can proudly present my first release as a Live Loop Artist. An adventure that initiated 9 years ago with the KP3 and really startet 4 years ago with the RC-505 precisely when i lived in a very special place called Valle Libera. Why I love live Looping? This reccording reflects my approach to music and why I love Live Looping. My personal goal in music especially as an Improvisator consists in finding the moment of flow. The flow for me is the perfect state of mind to make music, because it liberates me from thoughts and brings me to a Level of endless happiness, ideas and creativity. It means total Control and lost of Control at the same time. I realized, that for me it is absolutely important not to feel any emotional pressure, in the Sense of: „Oh gosh, there are hundreds of people expacting something really cool!“ The Setting has to be well prepared. For example, a crappy Soundsystem can ruin the whole approach of flow. Why? Cause i interact with the audience, i’m not playing on my own. If the music doesnt arrive, cause the Sound is not good, that makes it difficult to create the emotional musical energyfield that i try to create to push the people and myself into the flow. If the conditions are well prepared, I usually begin totally focus on my own, i focus on what I feel, to find a connection with my emotional center, and i play something really easy. Relax, after that first step i usually realize that now the moment has arrived to reconnect with the people that are arround me, and observe the mood, the way they dance, if they dance. Than the music usually starts to become complex and perfect. And one idea comes to another whitout knowing whats gonna happen. Improvisation needs time, like a plane finding itself on the ground and all of a sudden it lifts off. Why I decided to release that Session? Its the most perfect session i recorded this year. The Setting was perfect, after hours of looping, i didnt need any Warm-up. I fount myself in Nature together with my friends Dldancing or listening. The Sound was great. It was full moon. The music that came out was totally new for me, and i was suprised and started to play with these musical ideas until the end. I love the way how one imrovised song comes to the other, i totally felt the freshness of every idea. Emotionally it was a strong session. I felt totally connected with the Loop Machine as you can listen in the structure of the arrangements. 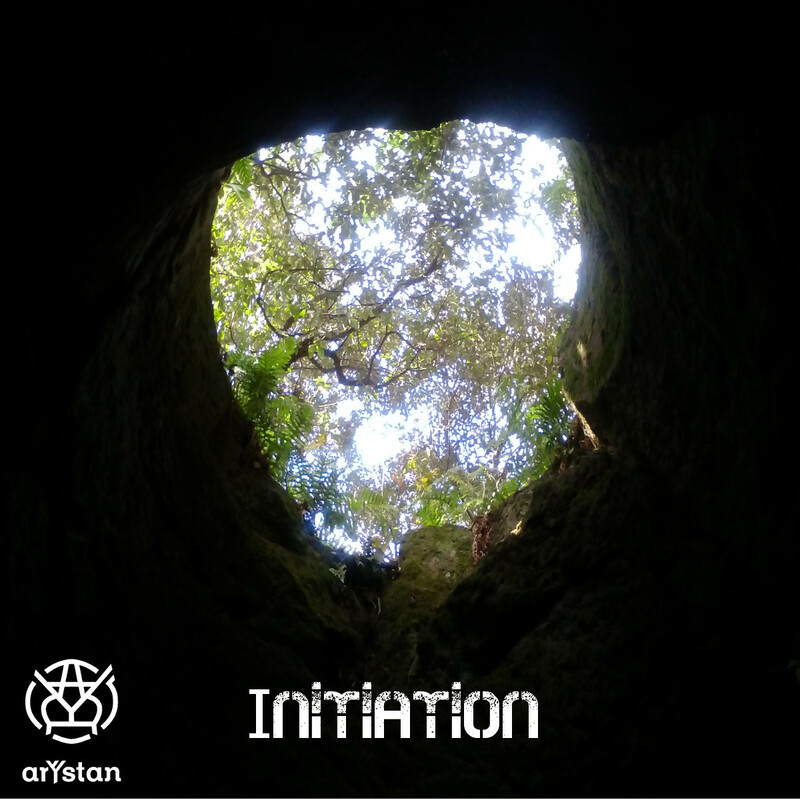 Initiation is a religious term. You go through a ritual. Normally connected to a process of transformation. After that you are part of a group and at least once a year, you redo the Ritual. I observed, that people who emotionally where touched by my music and danced to it, in a way went through the same process. This session reflects the search of light, the Transformation of light on all Levels. The Loop is a perfect metaphor of my cyclic believe of life itself. A nonlinear approach, at the end there is Transformation. Into what? i don’t know. „Initiation“ was recorded in May 2017 in Valle Libera. Valle Libera played an important role in my life. It was the place where my son grew up the first year after he was born, the place where i spent almost 2 years beeing surrounded by lovely people and an amazing natural enviroment, living the Community live. But not beeing surrounded by musicians. No Problem: Nature is Music. I dedicate this First release to Giorgia and my son Samadhi. A special greeting goes out to the rest of my family. I thank all my friends who are supporting me and supported me in the last years, all the venues that made me play and gave me the opportunity to make a living from that. All lovely musicians i have met for sharing beautiful life moments. A very thankful Hug goes out to: Valerio, Carol, Dario e Dagmar and all people who make Valle Libera a special place.